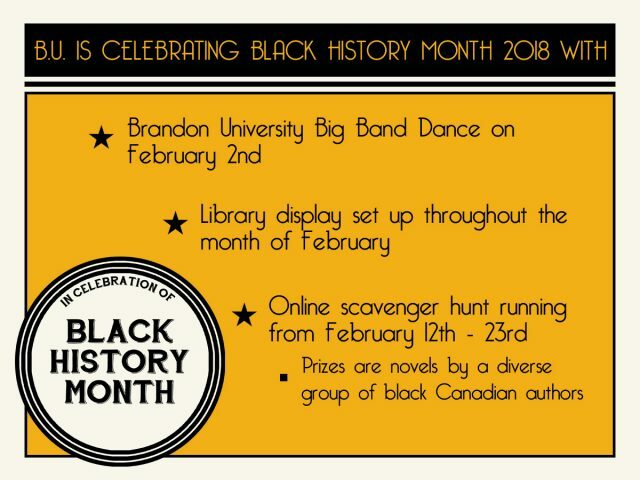 BRANDON – A concert by the popular Brandon University (BU) Big Band, a display in the John E. Robbins Library and an online scavenger hunt are the highlights of Black History Month at BU. The University is celebrating Black History Month throughout February. 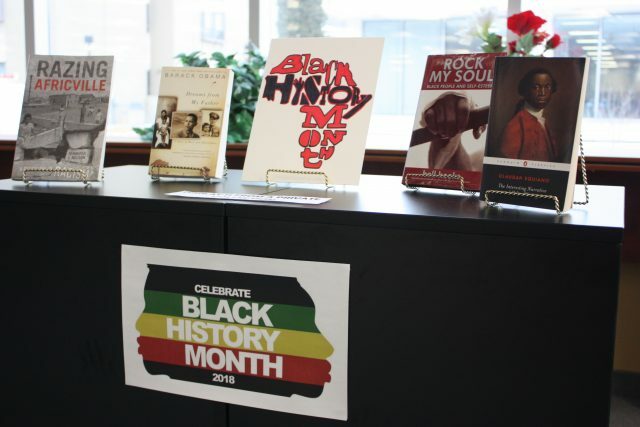 The display in the Library showcases books by Black Canadian authors as well as books on prominent Black figures. 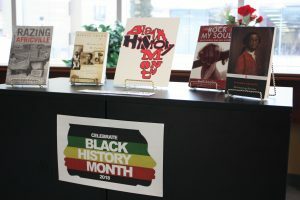 The John E. Robbins Library is hosting a display of books during Black History Month. On Friday, February 2, the BU Big Band will take the stage at Forbidden Flavours Brandon University in the Knowles-Douglas Students’ Union Centre at 10 p.m., for its annual Big Band Dance. The performance will highlight a wide range of music from the Black diaspora, including selections from Duke Ellington, Count Basie, Aretha Franklin, Curtis Mayfield, Redbone, Sister Nancy, Bruno Mars, Fela Kuti, and Kendrick Lamar. General admission will be $12, with BU Music Students paying a reduced fee of $10. The online scavenger hunt will take place from February 12 to 23. Novels by a diverse group of Black Canadian authors will be given away as prizes. Details on the scavenger hunt are available at BrandonU.ca/Diversity. Black History Month dates to celebrations that began in Canada and the United States in the 1920s. Originally a weeklong commemoration, it was expanded to a month in 1976 and became originally recognized by the Government of Canada through a motion passed in 1995. In 2018, the Government of Canada has introduced a theme of “Black Canadian Women: Stories of Strength, Courage and Vision.” You can learn more about Black History Month in Canada by visiting Canada.ca/en/Canadian-Heritage/Campaigns/Black-History-Month.